This long-awaited volume is being published by the Jacksonville Historical Society, and it is now available. Books are available via mail order. Call for information -- 904-665-0064 or email us at info@jaxhistory.com to place your order and to determine shipping cost. Books are available to purchase in person at Old St. Andrews (Jacksonville Historical Society Headquarters) from 11:00 a.m. to 5:00p.m. on week days. Written by fifth-generation family member Robert C. "Bob" Broward, this meticulously researched work is profusely illustrated with many never-before-published photographs and the author's own drawings. 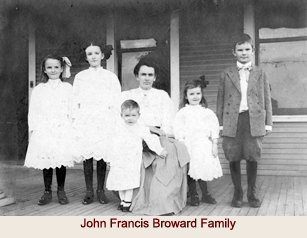 It tells the story of this pioneer family's arrival in the Spanish colony of East Florida in the late 1700s through the Civil War, the Reconstruction era, the Governorship of Napoleon Bonaparte Broward, and up to present day. It will be of interest to researchers, historians, and casual readers of Florida history. 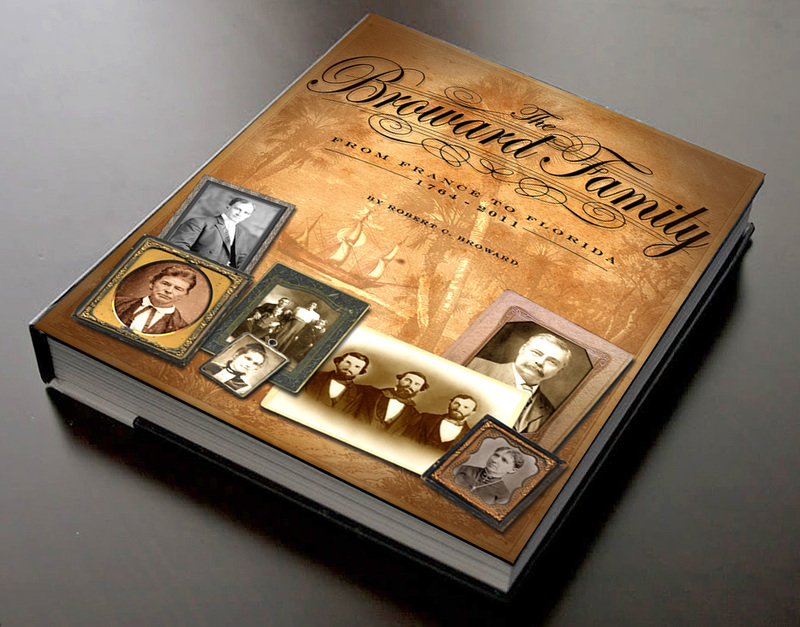 It will also be a prized volume for the numerous members of the Broward family, which is one of the oldest and largest in Florida. Cover: High-gloss dust jacket over a leatherette cover with the title embossed with gold leaf on the front and spine. Illustrations: It has 175 illustrations, including two full-color 2-page maps. You are really going to love it.